The new science lab at the Gymnasium papenburg is open now. 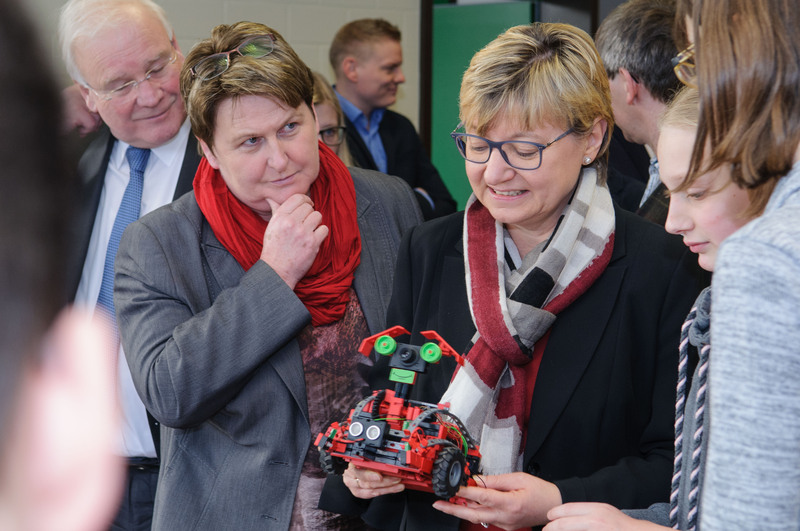 The ministry of education Mrs. Heiligenstedt has been participating in the grand opening ceremony on january 19th 2017. In the lab a lot of experiments have been setup, which you normaly only can find at a university. For example their is an atomic force mircroscope and an optical tweezer. What’s more there are laboratory wokrplaces, which can be used for open work, for example for students competitions. During the opening ceremony the Matters of Matters project was also presented.